Decorative Molding is a strip of material with various cross sections used to cover transitions between surfaces or for decoration. These moldings can be made up of various materials such as wood, stone, cement, and nowadays these decorative moldings are made up of Polyurethane, which are very popular. These moldings have some environmental, health and safety concerns that were investigated and found to be safe to use. 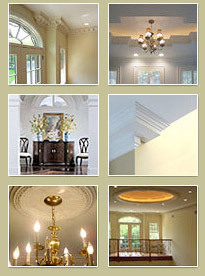 Our wide range of decorative molding products can be found gracing some of the country’s finest interiors, from high-end residential spaces, to grand ballrooms, luxurious hotels, to stately places of worship. These products are suitable for any place and wherever you install it, they will definitely make an impression on others.